Bangladesh will ask star all-rounder Shakib Al Hasan to return from Indian Premier League (IPL) and join the team's World Cup preparation camp next week, the nation's Cricket Board said Monday. Historically, New Zealand have had the wood on Bangladesh in this format. All but three of the matches have been won by New Zealand and the other three ended in draws. Bangladesh have never beaten the hosts in any format during four previous tours to New Zealand but Steve Rhodes said they should not be written off ahead of the first one-day international in Napier on Thursday. 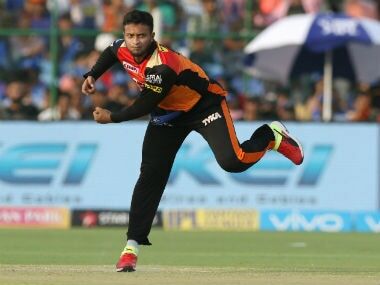 Shakib sustained the injury to his left ring finger while batting in the final of the sixth edition of Bangladesh Premier League Twenty20 tournament on Friday evening, said the BCB. 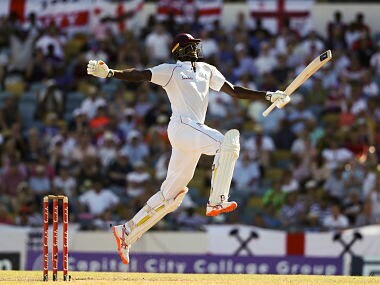 Jason Holder's recently acquired status as a player is bound to heighten not only his confidence, but also the respect he receives from both opponents and teammates. As per the qualification criteria, the top eight make it straight to the Super 12s stage while the remaining two have to play in the group stage along with teams, which will make it through from the ICC T20 World Cup Qualifier in 2019. Keemo Paul grabbed a record 5-15 and Evin Lewis smashed 89 off 36 balls as the West Indies beat Bangladesh by 50 runs in the third and final Twenty20 in Dhaka to win the series 2-1.